Releasing the Magic! : Culture Counts! Culture is 'the way we do things around here'. It surrounds us all and defines leadership. 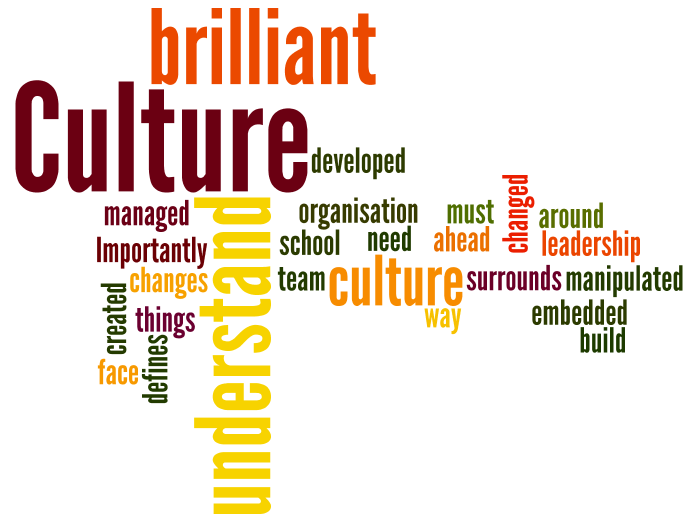 As we face the changes ahead we need to understand how culture is created, embedded, developed, manipulated, managed, and changed. Importantly you must understand the culture to understand how to build a brilliant school, a brilliant team or a brilliant organisation.